If you would ask ten people what service design is, you would end up with eleven different answers— at least. While service design has been growing in terms of its influence, it still remains a relatively new discipline. As with any new and exciting discipline, there arise some questions of identity— what the discipline is, what territory it occupies, and what expectations should and should not be laid upon it. As Pierce and Stickdorn explain in the foundational This is Service Design Thinking: “If you would ask ten people what service design is, you would end up with eleven different answers— at least.” This article compares service design with some of its siblings: product design, consumer experience and UX. I caught up with Natalie Schneider, Christopher Vice and Youngbok Hong (co-founders of the Indianapolis chapter of the Service Design Network) to get their take on the nuances between service design and the adjacent disciplines: product design, user experience design and consumer experience. This is what I discovered. Product design at its core is a process of creating physical objects for people to consume— think of a toaster, chair, or a car. Consideration is given to the aesthetics of these objects as well as how they function. In contrast, Service Design focuses on a service experience, not necessarily on an object or product. Today, service is the new battleground for competitive differentiation, with an increasing percentage of our GDP being directed towards services. To put it another way, if what separates one business from another is the experience of their service, then those companies should ensure that those experiences are orchestrated by design and not by chance. To put this into perspective, let’s consider someone catching a taxi. A product design perspective might focus on the specifics of the car - the ergonomics of the seats, the number of people it can hold, or even the painting scheme to help it be identifiable compared to other cars. Compare this to an experience such as Uber where these matters are concerns and differentiators between tiers of service, but they also come together with other elements to create a more whole service experience. This includes actions of passenger contacting the ride, waiting, and the feelings of the rider during and after the ride as well as the transaction of payment. Careful attention to these Service Design concerns has led Uber to disrupt the taxi industry. UX and SD are frequently confused, and for good reason. They both share a profound appreciation for a human centered approach to design, and therefore both use common human-centered, qualitative research methods such as interviews and contextual inquiry in order to focus designs on the people who will use them. The primary distinction that separates UX from SD, is UX has its roots in the field of Human-Computer Interaction, and aims to create software and hardware interfaces that are both usable and useful to people. Alternately, Service Design may incorporate any number of interfaces, but also weaves them in with other elements that make up a service. This system point of view shares in many of the concerns of UX— whether people will want a service, whether it is possible to create that service, and how that service fits into a business but expands upon the interface to include a greater ecosystem of people, settings and objects that must work in harmony to create a good experience. 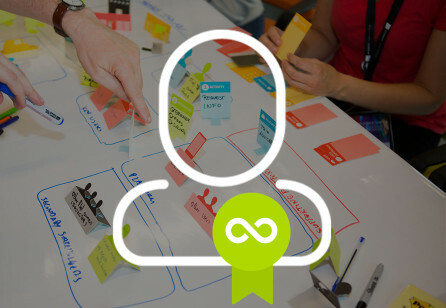 The product of service design is frequently a map or blueprint of such an ecosystem. A mobile or web interface (which is the primary output of UX) becomes one of many touchpoints in service design, and may be featured in a journey map or other such design artifact. Returning to the taxi analogy, from a UX perspective, focus might be placed on a means to call a taxi from the web or even a car interface to guide the driver to the passenger’s destination. Both have concerns about how someone might use such a service, where to put different buttons and how to tailor the interfaces to avoid frustration or, in the case of car navigation, situations that could lead to harmful accidents. Uber brings these elements together in harmony, connecting the car’s guidance system to the passenger’s request application and closing the loop with feedback after the ride. However, as with Service Design and Product Design, these are just a couple of touchpoints in a greater Service Design ecosystem. 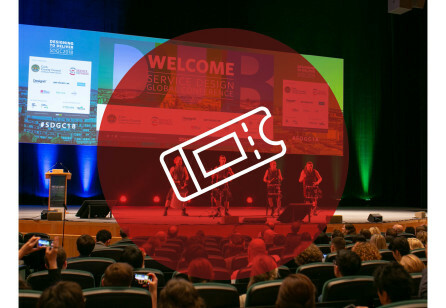 Customer (or Consumer) Experience Design and Service Design are very close, and many professionals sit at the intersection of these two disciplines. 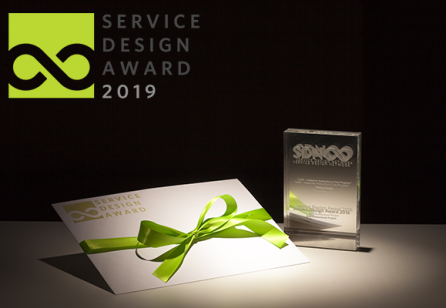 Their difference lies in scale and depth, with CX covering a broader range of concerns while Service Design digs a little deeper into a narrower set of concerns. Natalie Schneider describes the relationship in terms of a ‘T’. Consumer experience crosses the top bar of a ‘T’ and incorporates five components: (1) measurement; (2) consumer culture; (3) consumer strategy; (4) design of consumer experiences and (5) governance (with governance covering investments, portfolio management and oversight). While consumer experience is broad, service design runs deep. It runs down the vertical of ‘design’ and is focused on delivering consumer experiences based on design research – those experiences could be digital (and incorporate UX) but they don’t have to be. In a nutshell, CX and SD share the same end goal of driving out consumer pain points and improving customer satisfaction, but from a different ‘altitude’. Of all of the comparisons, the lines are the blurriest between CX and Service Design. Even from the perspective of the taxi analogy that has clarified the previous examples, it is unclear how to differentiate between the two. This may be a feature rather than a problem, however, as the concerns of both ladder up to a positive customer experience. The take-away here is that all these adjacent disciplines intersect— as do the people that passionately engage in them every day, which is why the Indianapolis chapter of the Service Design Network has been established: to bring this community of people-centered designers together, to connect, mentor, learn— and make things happen! Please join us at our inaugural event on Wednesday, October 18 at 6pm. Additional details are on the Indianapolis chapter page of the SDN website. 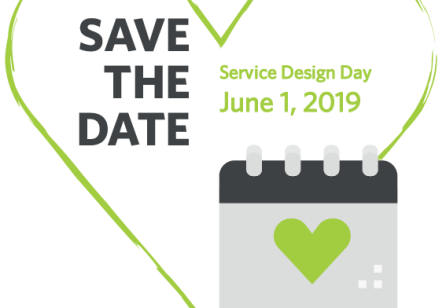 The Indianapolis chapter of Service Design Network aims to create a cohesive community of service design professionals and students that are collectively committed to advancing the practice of service design. Shad Gross is a Consumer Experience research scientist at Anthem. His work has ranged from teaching aspects of Service Design as part of his doctoral work at Indiana University, producing service design artifacts for a number of different companies, and consulting on web, television, and film projects as a freelancer.